The case of billionaire kidnapper Evans has taken another twist as Nigeria police have arrested a soldier believed to be an accomplice to the kidnapper. 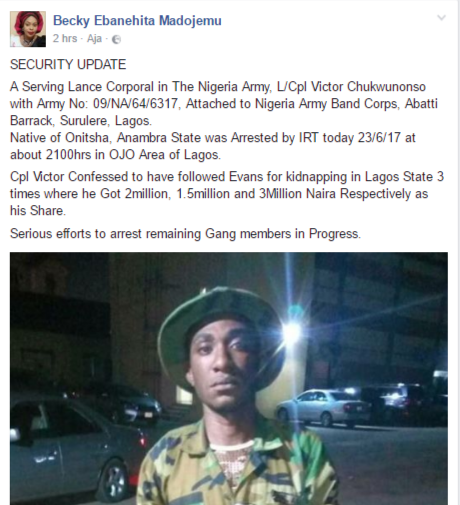 The police have arrested a soldier, Lance Corporal, Victor Chukwunonso, as a gang member of the notorious kidnap kingpin, Chukwudimeme Onwuamadike aka Evans. This was shared by popular journalist and manager at NTA, Becky Ebanehita Madojemu. She shared this on Facebook and wrote. 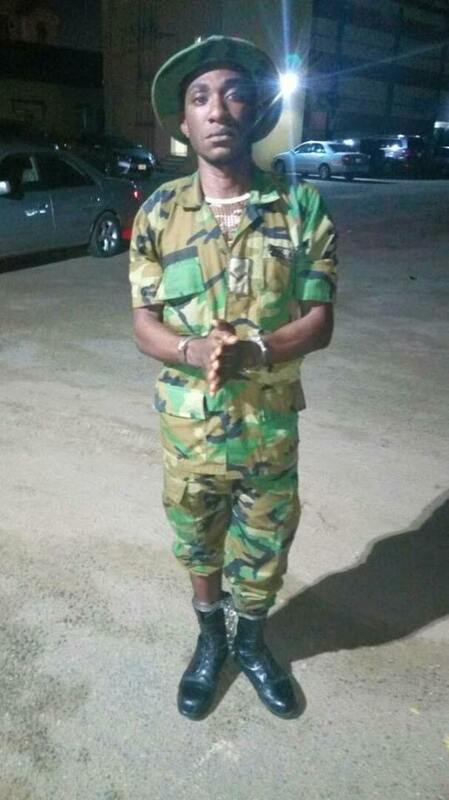 A Serving Lance Corporal in The Nigeria Army, L/Cpl Victor Chukwunonso with Army No: 09/NA/64/6317, Attached to Nigeria Army Band Corps, Abatti Barrack, Surulere, Lagos. Native of Onitsha, Anambra State was Arrested by IRT today 23/6/17 at about 2100hrs in OJO Area of Lagos.